The 2019 Cadillac CTS proves that American automakers can build great luxury sedans. While all versions of the midsize CTS are engaging to drive, you'll find the V-Sport and CTS-V models to be especially thrilling. Comfortable front seats and a great driving position make the CTS a great car for road-trippers. You'll also enjoy the sedan's distinctive styling cues. While the new CTS may sound like a dream luxury car, it's not without flaws. Let's check out the highs and lows. The 2019 Cadillac CTS is essentially a carryover from last year. In 2018, Cadillac updated the CTS with a new CUE infotainment system. The base power source for the 2019 Cadillac CTS is a turbocharged four-cylinder engine. Although this engine will save a few more gallons in the city, you'll experience more performance with the mid-level V6 engine. It's tuned to develop 335 horsepower while matching the base engine's highway fuel economy. When you're traveling with multiple passengers, the extra punch will prove to be well worth it. You'll also enjoy the V6 engine's more authoritative sound. If you still demand more motivation under hood, check out the 2019 Cadillac CTS V-Sport. It comes equipped with a twin-turbo V6, which pushes out 420 horsepower and 430 pound-feet of torque. Expect this model to clock a 0-60 time of around 4.6 seconds. To give the V-Sport model an especially responsive feel on the road, Cadillac equipped it with sports-tuned suspension dampers and an electronic limited-slip rear differential. Cadillac has always been known for producing big, comfy automobiles. However, it has recently started to focus more on developing fun-to-drive cars. You can toss around the 2019 Cadillac CTS like a real sports car. This is especially true for the models equipped with a performance-calibrated suspension. Because the steering system is so communicative, even small changes in the road texture can be felt. When taking corners, there's always be plenty of grip. Drivers seeking a pure adrenaline rush should check out the high-powered CTS-V model. Cadillac tuned its supercharged V8 engine to develop an eye-popping 640 horsepower. Even bonafide sports cars will have trouble keeping up with the CTS-V. It recorded an eye-popping 0-60 time of 3.6 seconds. A special suspension system also helps bolster the CTS-V's responsive road manners. The sedan's "track" mode ensures the optimum performance. The 2019 Cadillac CTS does not look like the other sedans in the segment. You'll quickly notice its sharp, cascading headlights. On the rear, an integrated trunk spoiler and bold exhaust outlets enhance the sedan's athletic look. You'll also like the V-Sport model's special set of 18-inch wheels. Of course, there's no overlooking the race-bred CTS-V's aggressive styling cues. A Carbon Fiber package is optional. Red Obsession Tintcoat, Crystal White Tricoat, and Dark Adriatic Blue Metallic are some of the available colors. Prices for the new 2019 Cadillac CTS start at just less than $47,000. Unless you crave more performance, you don't really need to step up to a higher trim. Even the base CTS comes loaded with a number of premium features. Some of the highlights include a Bose surround-sound system with satellite radio, a 4G Wi-Fi hot spot, and rear parking sensors. Rated to develop nearly 270 horsepower, the base engine engine is also lively enough for you to have a bit of fun. Stiff, unsupportive seats can definitely ruin your driving experience. Fortunately, the 2019 Cadillac CTS doesn't have this problem. You'll find the standard seats to be quite nice to sit in. Even after being on the road for more than four hours at a time, front passengers should still feel comfy. Heated and ventilated functions are optional. A telescoping steering column also helps you to obtain a good driving position. During panic situations on the road, nothing beats the security of a strong braking system. This sedan's impressive stopping power definitely makes it a safer car to drive. You'll be able to better avoid a potential crash. Even the base CTS comes equipped with high-performance Brembo brake calipers. A stronger braking system comes equipped on the sport models. Cadillac did an excellent job of strengthening the sedan's body structure. It provides great impact protection from every position. Aside from the base model, all of the other trims come equipped with an advanced safety package. The most important driving aids include blind-spot detection, forward collision alert, and lane departure intervention. If you are not satisfied with the standard backup camera, a bird's-eye view camera is available as an option. An OnStar communications system is found throughout the CTS lineup. 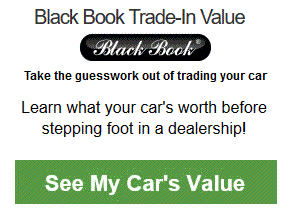 It's a great system that promises to make your ownership experience even more rewarding. If you happen to get into a crash or encounter a problem on the road, OnStar can actually pinpoint your destination and send help. The system can also provide navigation assistance at the touch of a button. Passengers who are of average size will have no trouble riding in the back. On the other hand, tall individuals may desire more head space. Legroom also trails the competition. Families who find the CTS to be a tight fit should consider the full-size 2019 Cadillac CT6. It provides great space in the front and rear. Don't expect the high-powered variants of the 2019 Cadillac CTS to return great gas mileage. According to the federal government, the twin-turbo CTS V-Sport will only return a combined 19 mpg on premium unleaded. Meanwhile, expect the V8-powered CTS to deliver a combined 17 mpg. Fuel economy in the city will be especially low. In terms of pricing, the new CTS costs less than German rivals like the BMW 5 Series and the Mercedes E-Class. 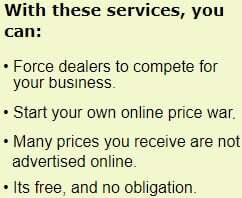 However, you will have to pay a hefty sum for certain models. For instance, the CTS V-Sport Premium Luxury demands more than $70,000. Folks interested in the high-performance CTS-V will have to fork over at least $86,000. Cadillac's infamous CUE infotainment system has improved. However, it still ranks behind the pack. The interface is not very straightforward. Because the system does not have any physical controls, drivers are forced to use touch-sensitive buttons. Furthermore, the voice recognition technology doesn't work great. Because of this sedan's sporty nature, it's ride can be somewhat stiff on certain road surfaces. A sports-calibrated suspension causes the V-Sport and CTS-V models to ride a tad rougher. While the ride quality isn't bad, some folks may prefer a more plush feel. The 2019 Cadillac CTS takes on the 2019 BMW 5-Series. It has no trouble matching the performance capabilities of this European competitor. However, more passenger and cargo space gives the 5-Series a key advantage. You'll will also find greater pleasure in using BMW's iDrive infotainment system. It's important to note that buyers will save more money by choosing the less expensive Cadillac CTS. The Mercedes E-Class is another vehicle worth testing out. Its cabin is spectacular. While the E-Class is among the most luxurious cars in the segment, some people may find the CTS to be more fulfilling to drive. You should also check out the new Genesis G80, which comes with a superior warranty package. 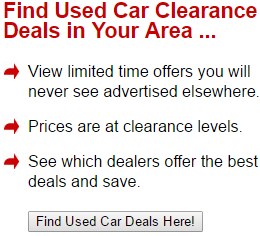 It could prove to be an even better value than the Cadillac CTS. Nevertheless, more performance upgrades are available for the CTS. The 2019 Cadillac CTS gives you several reasons to drive it home. 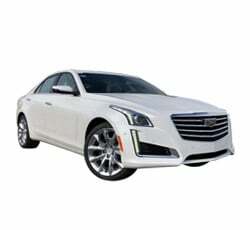 Snazzy styling, amazing performance capabilities, and a great driving position help separate the CTS from the comepption. Furthermore, it comes standard with a lot of attractive features. On the downside, there's not as much room in the backseat. High-performance models eat a lot of fuel. Also, some of your family members will have a hard time squeezing into its backseat.